0 to 20 multi colored printable number flash cards to print. These number cards are available in pdf format with 0 to 20 numbers. Numbers are available in multiple color themes such as orange, green, blue, purple yellow and brown. 4 page printable pdf with 20 numbers. 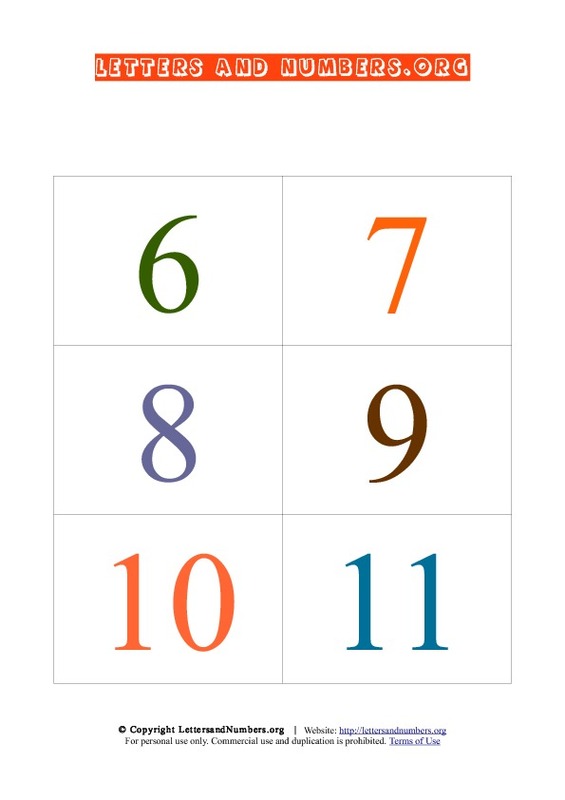 Our free printable number flash cards with 0 to 20 numbers is available for free. Instructions: To print our free number flash cards, please click on the link below the flash card preview. You can download the pdf file which contains all numbers from 0 to 20 which will appear in a new browser window to download and print.